#InTheStudioThisWeek we’ve been creating our monthly informative digital newsletter and accompanying poster for one of our long-standing clients, Segensworth Business Forum. We have been working with SBF for nearly 10 years, providing them with great digital and print solutions throughout the years. 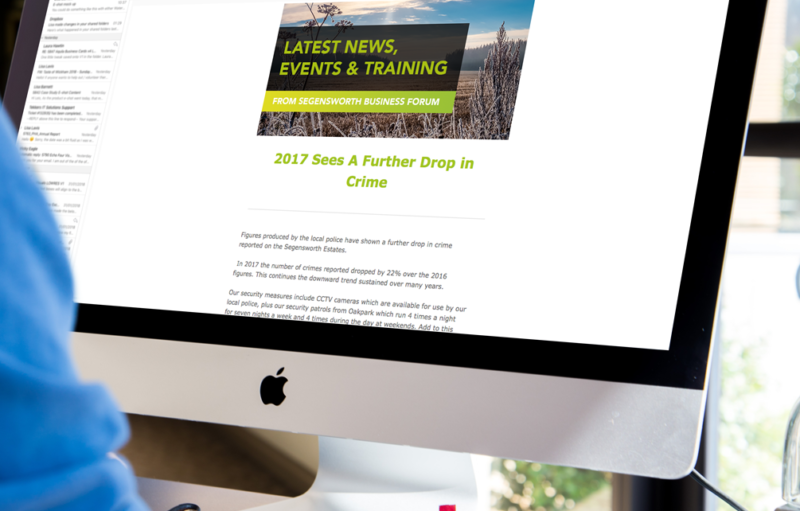 As a recent approach to communicate more with their members in 2018, we have increased the content in the digital newsletters we create, incorporating more statistics, imagery and external links to fully captivate their audience. Not only do these digital newsletters provide an array of interesting information related to the businesses on the Segensworth Industrial Estates, they also provide links to the large number of training courses and seminars offered to the members. These are ideal for professional individuals looking to further develop in specialist areas, such as Emergency First Aid and Manual Handling. With the work of our design studio, this content becomes something that is also very visually engaging, resulting in a really great read. 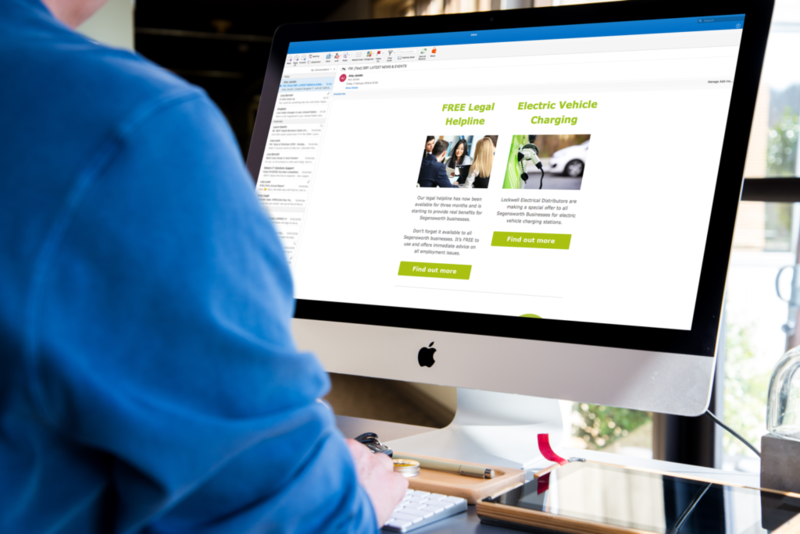 Take up for the events has been great which is good evidence that regular eshots, with a strong design and intelligent, timely content continue to be powerful communication tools, and an essential part of the marketing mix. 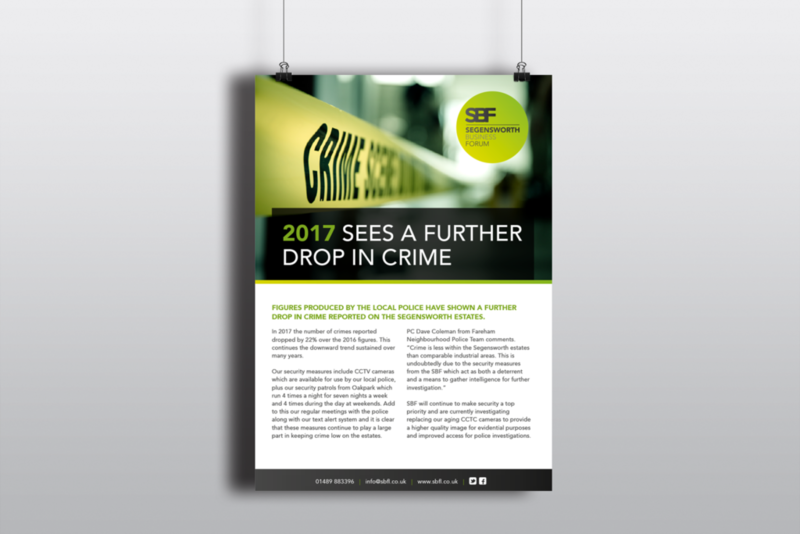 We have also created a SBF poster to accompany the digital newsletters, reinforcing the content and messages sent out to members. Established in 2005, Segensworth Business Forum represents the interests, concerns and issues of all businesses on the Segensworth Industrial Estates. A single and coordinated voice, They work on behalf of everyone, lobbying for better services and increased funding to make the Segensworth Estates a better place to work. In 2007 Segensworth estate companies voted to become a Business Improvement District (BID). Run by Segensworth Business Forum, every business is a member, and enables the Segensworth Business Forum to implement specific value-add BID projects. In 2012 and again in 2017 business on the estates voted to continue for a further 5 years with an increased mandate.